Ever since last year’s Vroom Vroom EP, Charli XCX has been stuffing herself with futuristic bubblegum pop generated by PC Music producers Sophie, Danny L. Harle, and PC’s head honcho and Charli’s creative director (since 2015) A.G. Cook. 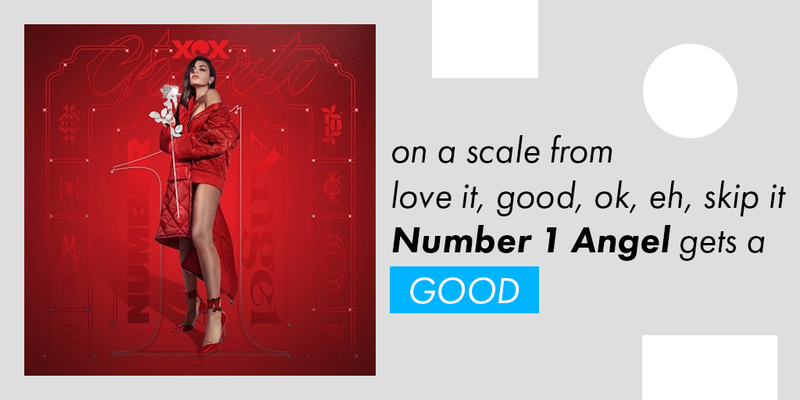 Number 1 Angel might not have the brashness that a mostly Sophie-collaboration can engineer, but it contains enough exaggerated elements to move pop away from its current state. With a pile up of dirty love and fast cars scratched by polyphonic video game bleeps and buzzes, the exploitation of consumerism is pretty much intact. It feels strange to recall Sucker, when Charli went all retro 80s and lyrics were better put together. Yes, the hooks are still there, but the mindset is so far into the future you can’t even see the rope tying her down to Earth. The opener “Dreamer” doesn’t come off as anything new with its basic smattering of hip-hop. It’s Cook’s first producing credit and he doesn’t emphasize the unusual aesthetic behind his label, like a crucial part of his team did on the EP. It simply acts as an easing precursor for the slightly hyperbolic music set to follow. “3AM” is instant gratification manufactured with double time heart beats and pure sugar melodies. The reinterpretation of the story in the second chorus when she finally realizes the man is scum after being blindly in love in the first chorus is clever. The appearance of MØ makes it look like a friend’s got her back, and that is surely sweet. Charli comes off as a masochist in “Blame It On You,” especially right after “3AM.” It’s pretty much the same story as the one told previously; however, this time she knows the man is bad news and insists on staying with him on the count of lust. Haven’t you learned your lesson four hooks ago? Maybe you should be blaming yourself (I had to do it). At first play of pretty echoing synth, you know Sophie has something to do with the execution. “Roll With Me” is by far the simplest in terms of message (though it has innuendos) and is perhaps the most on target in regards to exercising the point of this whole overblown pop direction. From the way the beats drag and repeat before cutting completely off to display a bouncing interlude of dark soaring synth and heavy bass (reminiscent of “Hard”) is exactly the level the rest should’ve tried to reach. Super sexually charged Charli actually comes off (deceptively?) innocent in “White Roses,” lulling the listener into her arms during the chorus. It is a rather personal track where she comes off vulnerable and optimistic after singing “no one knows the secrets that you know.” It’s also quite the contrast to when she’d “fallin’ victim to black roses” on punky True Romance almost 4 years ago. Charli’s continued association with PC’s brand of pop, which has now lasted for two efforts, probably even three (given the promo for her next official album), is startling–especially for an artist who surfaced over dark waves initially before switching over to club retro power pop. And don’t forget, she even made an unreleased rock album in Sweden. I think it’s because she can label herself an early adopter over music that will be prevalent in a year or two. And while Number 1 Angel is considered a mixtape (not sure why or how by definition), it still fetters her to the PC train. And some-what erases “After The Afterparty” which is most definitely just a common pop song. Even though she might be serenading drug dealers with a personalized love ballad in “Drugs” and rotting our teeth in “Lipgloss,” she’d still want to aim higher when the time comes to release a standard album before officially laminating herself as princess of bizarro pop. GOOD.